Florence always puts on a radiant show in December. From the Christmas atmosphere on the streets, to the glittering shop windows and sparkling decorations around the city centre. But there’s much more than just twinkly christmas lights to enjoy. During the month of December a very special show illuminates Florence’s landmarks, and the Christmas market will bring a festive air to Piazza S. Croce. December in Florence is about lights, festivity, music and art. It’s a time when you see the city as you never have before; beautifully illuminated and buzzing with the magic of Christmas. The great show starts on the 8th of December, when the gigantic Christmas tree is lit in Piazza del Duomo. This year the F-Light Festival returns to Florence’s city centre. Here ancient architecture meets contemporary visual expression during a month-long (8 December 2018 -6 January 2019) festival that every year shows Florence in a different light. Landmarks like the Ponte Vecchio, Santo Spirito Church, and the Porcellino Loggia become the unlikely settings for video mapping, light projections and various visual trickery. Illuminated images appear as if by magic on the Medieval silhouette of the Old Bridge. The river Arno is flooded with colours, and the ancient facades of the churches come alive with lights, brilliant colours and shapes. This year’s theme is “Frontiers”, with specific installations devoted to the refugee crisis. 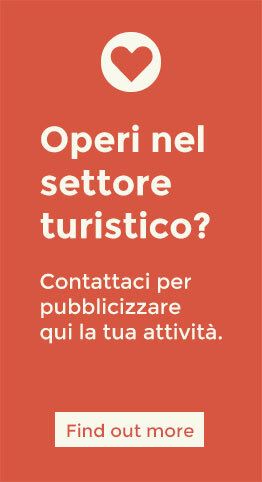 ⇒ Planning a trip to Florence? Check out all of Florence’s unmissable sights! ⇒ See the most Beautiful Churches to visit in Florence. 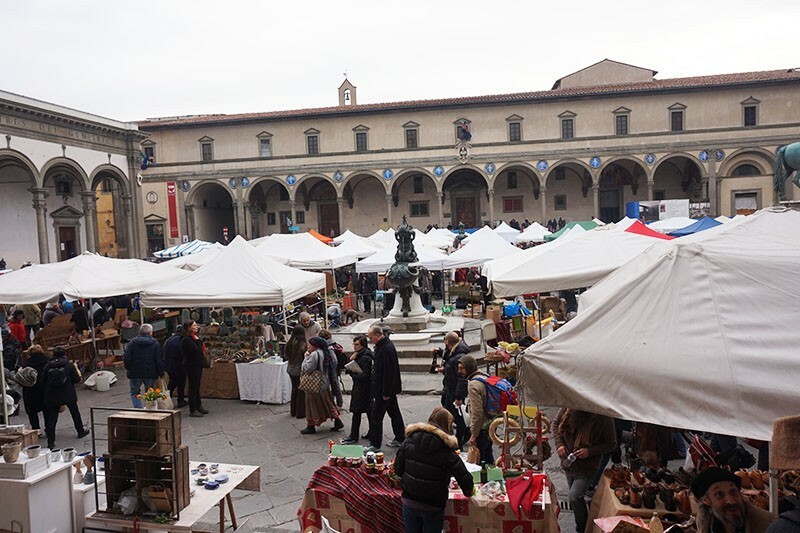 Every December the fabulous Santa Croce square hosts a lively Christmas Market, with stalls selling various art crafts, candles, sweets and Christmas themed decorations from Italy and abroad. It starts on the 28th November and lasts until 20th December 2018 (10am-10pm). This is a more traditional event, inspired by country values. Hosting a traditional market, it will be held in Piazza S.S. Annunziata on the 8th, 9th of December 2018 for the occasion of the Immacolata feast known as “Fierucola”. Among other things there promises to be delicious organic food and handmade art-crafts. If you miss it, don’t worry, the Fierucola is back on Sunday 16th December in Piazza Santo Spirito. Feeling the festive atmosphere? Find out why Tuscany is truly special at Christmas, including the best places to visit and delicious sweet treats! For those interested in contemporary art, Palazzo Medici Riccardi hosts “This is not a photo opportunity” (19th October 2018 – 24th February 2019), an exhibit dedicated to the works of BANSKY, the British street artist that exposes the contradiction and miseries of our society with a good deal of black humor. It’s the perfect opportunity to visit the handsome Palazzo Medici Riccardi, the first residence of the Medici family at the time of their rise into power in the Florentine Republic. While the new Medici TV series has just been released on RAI 1 in Italy, some of the costumes used for the shooting are exhibited in the palace where Cosimo de’ Medici and Lorenzo the Magnificent used to live. Palazzo Strozzi features a major exhibition featuring performance artist Marina Abramović (21st September 2018 – 20th January 2019), “The Cleaner”, with videos, paintings, objects, photos and live recreations of her most famous performances. If it’s music you’re passionate about, check out the concert held in the Sala Paradiso of the Opera del Duomo Museum (13/12/2018) – booking is essential (see official site), as there is limited seating. 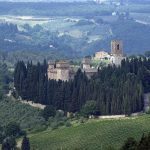 If you’re travelling to Italy this season, discover all the reasons why you’ll love Tuscany in Winter! ⇒ 6 Top things to do in Florence at Christmastime. 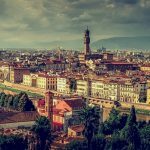 This year if you’re visiting Florence in December, you’ve the unique opportunity to see one of Leonardo da Vinci‘s manuscripts and peer inside the mind of this artistic genius. From 29th October 2018 to 20th January 2019 The Uffizi Gallery hosts the exhibition ” Il Codice Leicester di Leonardo da Vinci. L’Acqua Microscopio della Natura “ –The Codex Leicester of Leonardo da Vinci. Water, Nature’s Microscope. This exhibition is the start of a series of events that, during 2019, will celebrate the 500th anniversary of Leonardo’s death (he died in May 1519).